Recently Hondo Garage started shipping the Pop & Lock portable rig which I backed on Kickstarter and really like. Since then, they have come out with several minimal mobile rigs for DSLR and mirrorless cameras that I thought you guys might dig. 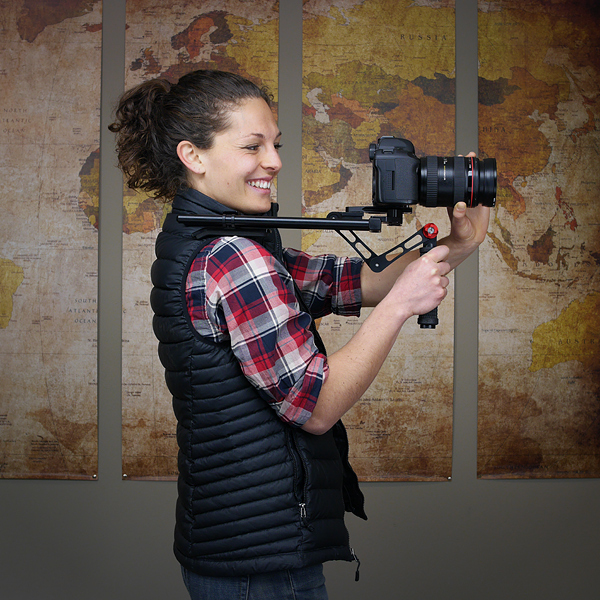 This rig gives you a full shoulder rig, but you can quickly switch to a small top handle rig and pack it easily. Balancing is also lighting fast on this rig. 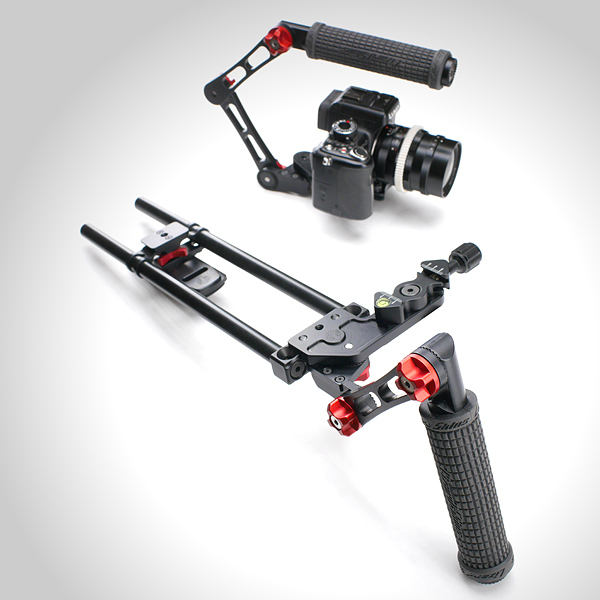 The Really Comfortable Rig uses an arca swiss quick release system making for a solid camera connection. The Back Country Rig is designed for shooters who don’t have the luxury of traveling with a ton of gear. This rig is stripped down and built for maximum efficiency. Like the RCR above, the Backcountry Rig sports an area swiss quick release plate. This little sucker is great. I have a Pop & Lock and love using it. 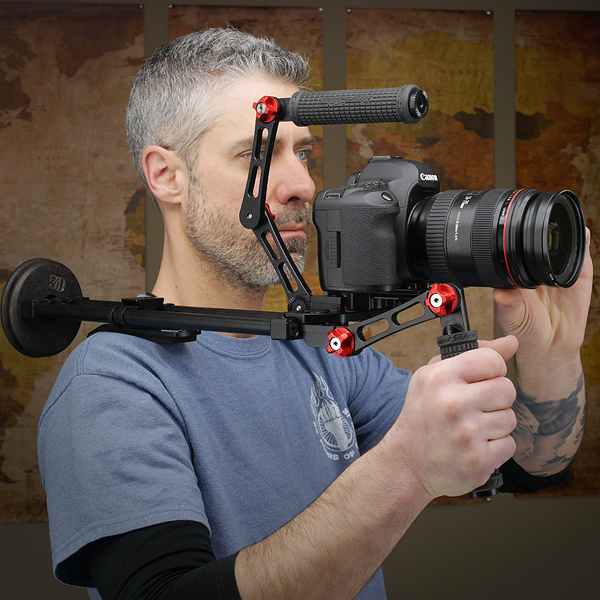 I really like how you can turn this rig into anything like a second handle, shoulder rig or just a flexibly top handle rig. Good stuff! What do you guys think of this style of rig? Most of the configurations above aren’t very practical, and do not look entirely stable. Maybe with the right accessories balancing some of them would be okay, i guess. 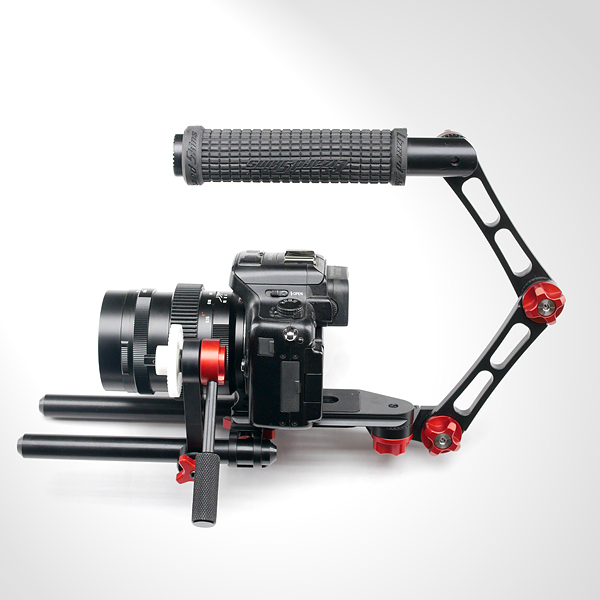 With a decent cage you can have a more easily removable top handle and even more flexibility in adding or removing ‘modules’ that expand your rig, or strip it down. Idk, i shoot nearly rig-less nowadays, so i am biased against most set-ups. It obviously depends on the kind of shooting you do, but for what we do a lot of, this setup is very practical. For me (I designed these rigs) I never remove the top handle. The top handle and front rods (when I use them) stay on the camera at all times. This assembly pops off the shoulder rig and onto a tripod or slider, or I use for low-angle shots. As for stability, I personally like single handle rigs better as they let me keep one hand on the focus ring. You can add a second handle to the setups above but we don’t recommend it. 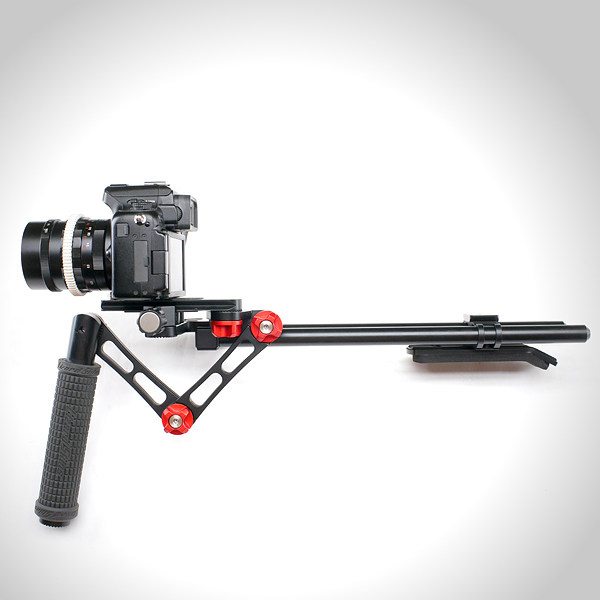 For a run & gun setup that let’s you quickly change to tripod or top-handle only, this rig is really nicely dialed. The photo below is my usual setup. Cheers. 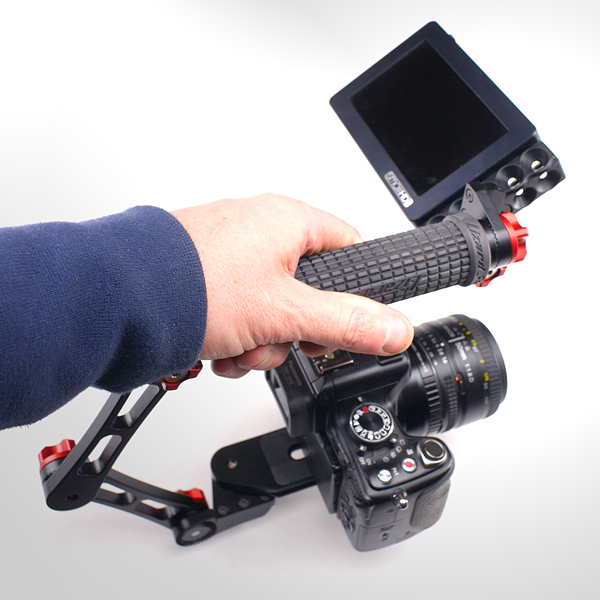 In the photo above I like the handle location, gives you another grab-spot when it’s on your shoulder too to lower rig with less fatigue… pop it up and you have your top-handle back. Nice. This photo is a better example than the ones above (i know its pretty much the same as the top one, but shown in a better shooting position. I take photos and stills from the same cameras simultaneously (d750’s and d810’s and sometimes a d5300) These hondo rigs put the handle in front of the eyepiece and don’t really work for my style of shooting. I usually have a far left offset to be able to snap a few photos even with a should rig attached. 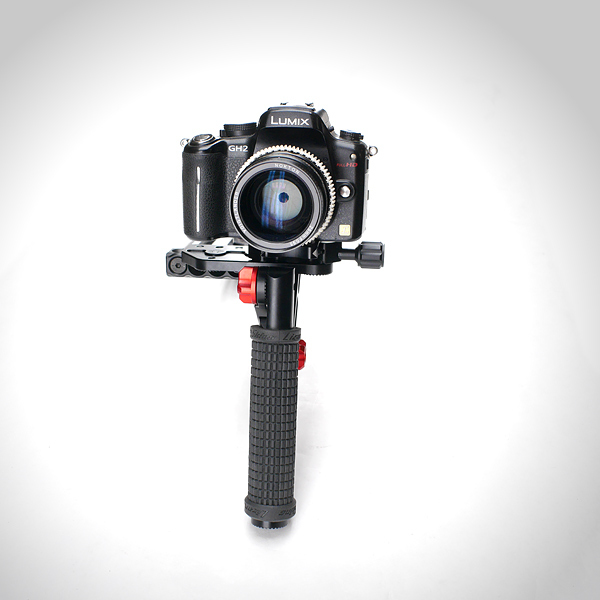 Have one camera on a tripod/slider combo with no additional accessories on it and a monopod at the ready. The rigs I like best are the ones that get out of the way or can easily be held with a strap when I drop them off camera to take some stills. This looks great and well built, but personally I find it way too expensive. I built myself a rig that does similar things like a few of your combinations. 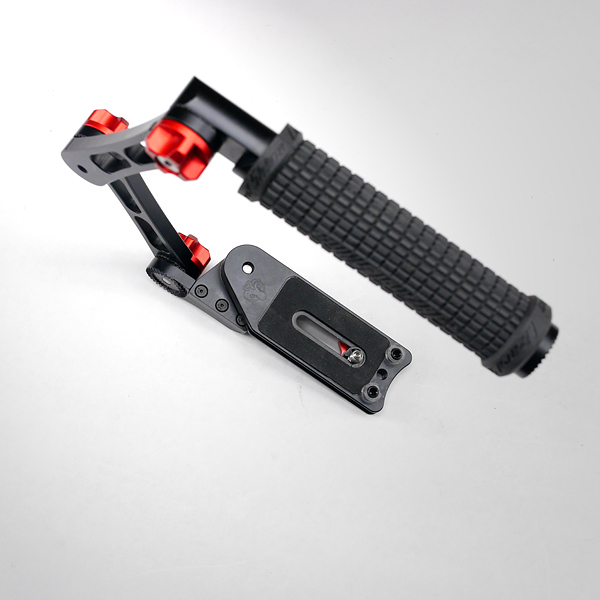 Its made out of a pistol grip, magic arm and a table tripod. This cost me less that $60. -The 3 tripod legs grip safely across my chest and keep it very stable. 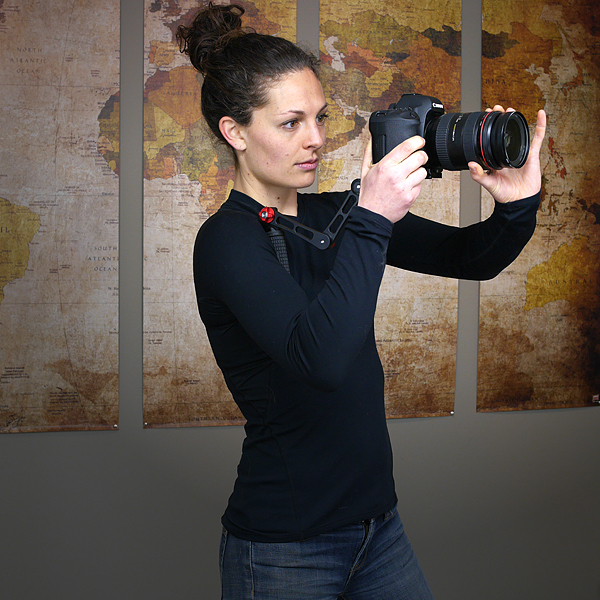 Sometimes i add the camera strap to my GH4, so my neck takes away the weight of the camera. that way i dont even have to grab the pistol grip for it to be stable and i can stand for hours. 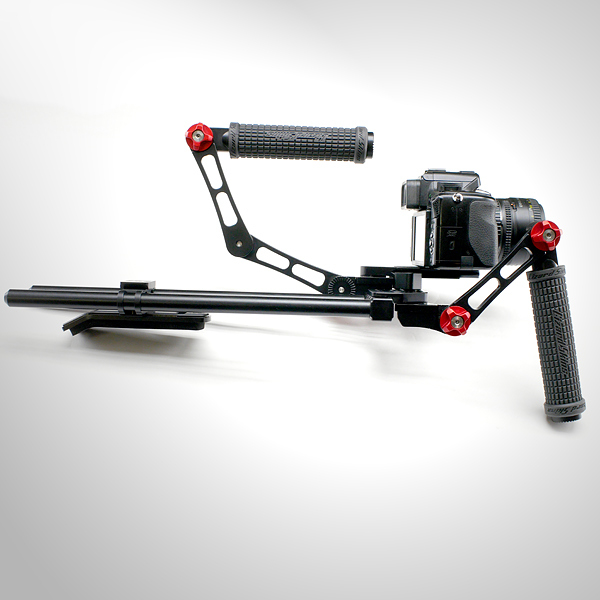 ive found this to be better in almost every way to a shoulder rig solution. – the 3 pieces are extremely small to carry, so i never leave them at home no matter how light i travel. -every single one of the 3 pieces are actually great on their own. a little tripod with ball head is a no brainer, but also the pistol grip alone gives me definitely better balance than just holding the camera. and the magic arm: dont you just always need a magic arm? yeah i absolutely love this and its a very stable build if you dont consider getting the cheapest magic arm. Wiley, i have to say, this is pretty freakin awesome. props to you and your team! im considering getting the pop & lock pro now, seems to come in very handy.